As Grantland previously noted, Columbia is planning on letting director Roland Emmerich — who blew up the President’s home in Independence Day — mess up the White House once again. This time, the cause of destruction is an invading paramilitary group. 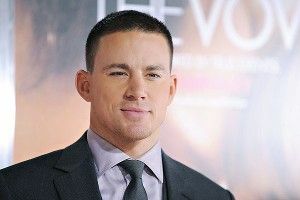 And the only thing standing between them and evil victory is … Channing Tatum. The young man is in talks to star in Emmerich’s latest, as a Secret Service agent and single father that’s left behind enemy lines and must stave off the hordes of bad guys all by himself. And, as THR reports, this is only one of two projects of its ilk: Director Antoine Fuqua and Gerard Butler are attached to the other one, Olympus Has Fallen, which repeats the basic scenario laid out above. Hey, just because Hollywood is still making Die Hard movies — the fifth, A Good Day to Die Hard, is in the works — doesn’t mean Hollywood can’t also make Die Hard ripoff movies, right? So can Tatum carry an action thriller all by himself? While not necessarily the most, you know, expressive of thespians, he’s actually proven to be pretty versatile: He can do weepy brain-damage romances like The Vow, he can do stripper eye-candy extravaganzas like Magic Mike, he can do R-rated comedy like 21 Jump Street. And now he’s got a big-budget Die Hard–esque shoot-em-up on his hands. Serious question, though: Would Channing Tatum even fit in an air vent? The Top 10 Songs in ... REGGAETON!